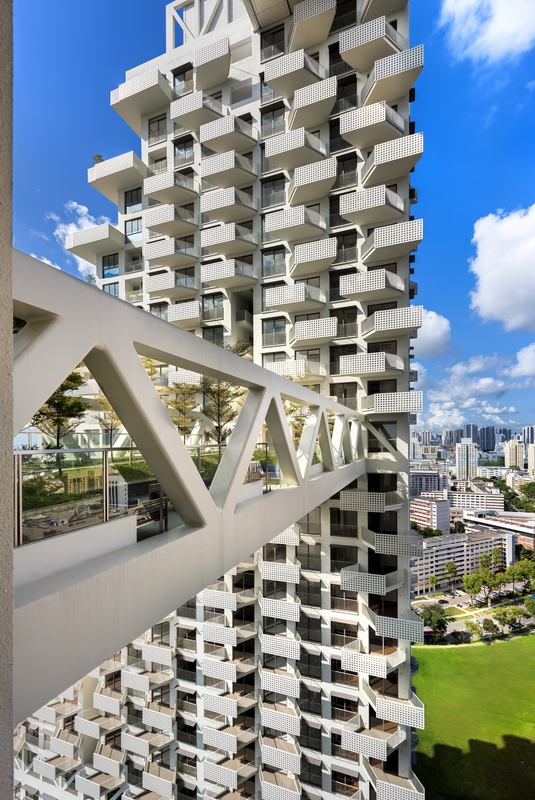 Reaching up into the sky in Bishan, Singapore is Moshe Safdie‘s recently completed development, and aptly named, Sky Habitat. 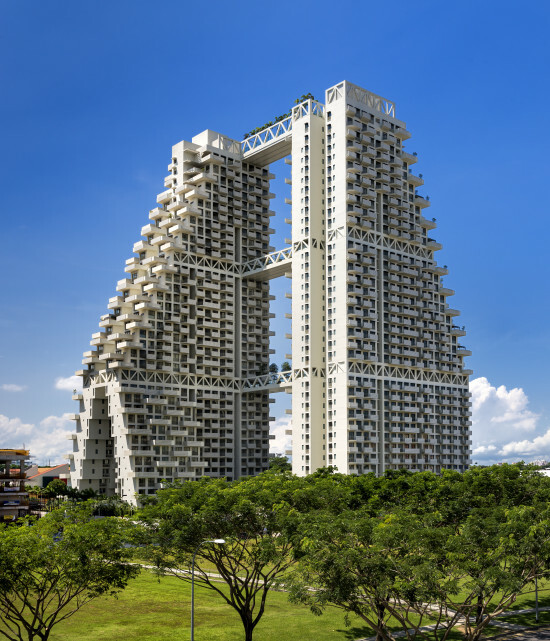 Safdie’s design includes walkways that connect the the two structures up to 38 storey’s up, offering views across the suburban sprawl of Bishan. 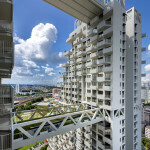 Views aren’t the only thing offered to residents who take to the bridges at the complex either. 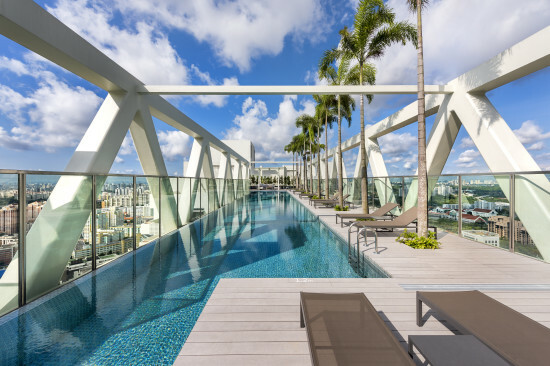 As pictured above, a swimming pool spans the majority of the highest bridge (on the 38th floor) complete with palm trees. Below are two more bridges connecting the towers. They provide circulation between the buildings and facilitate airflow through the structures. 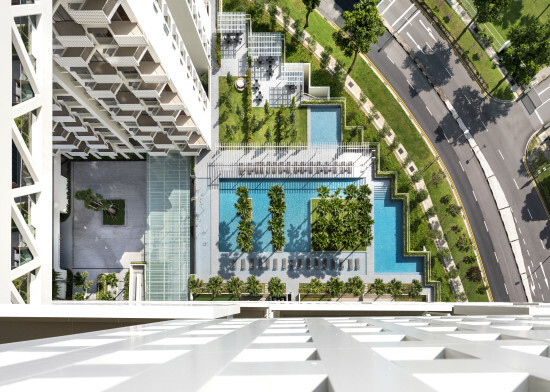 In fact, ventilation was somewhat of a priority in the context of the Singapore’s tropical and climate. 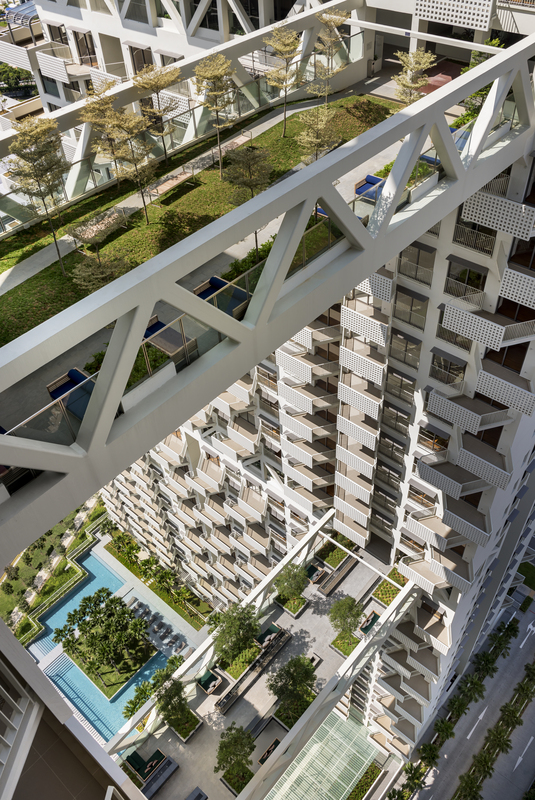 As a result, by separating the volumes, Safdie has maximised exposure to each dwelling to combat the humid conditions. 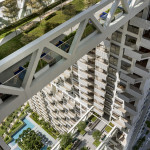 That’s not to say that they too have been left bereft of vegetation, something which has been a key feature of Safdie’s design. 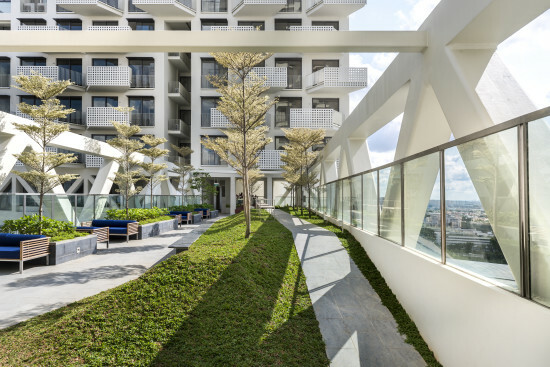 The inclusion of such greenery has lead to the bridges being termed as “sky gardens,” offering a natural counter to the surrounding urban environment. 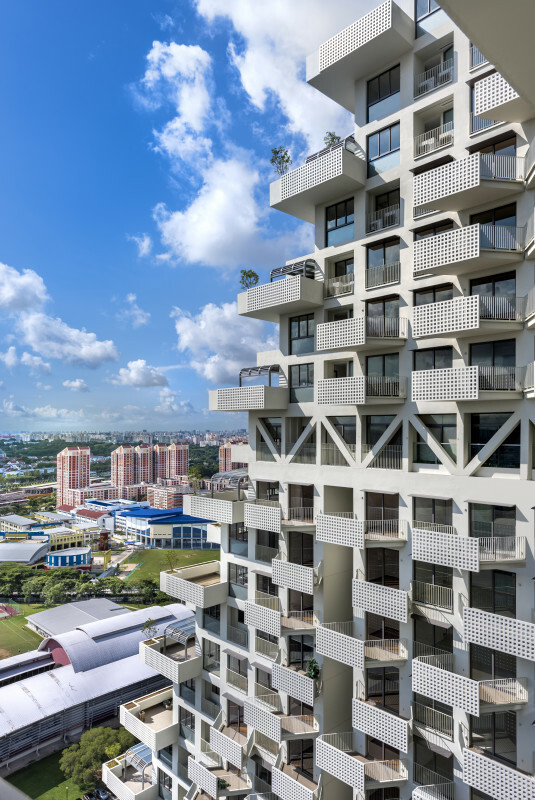 Bishan, by comparison, is one of Singapore’s fastest developing cities. 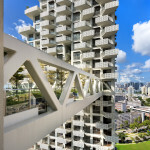 The two volumes of the towers show off a staggered facade that maximizes each dwelling’s views and sunlight exposure. 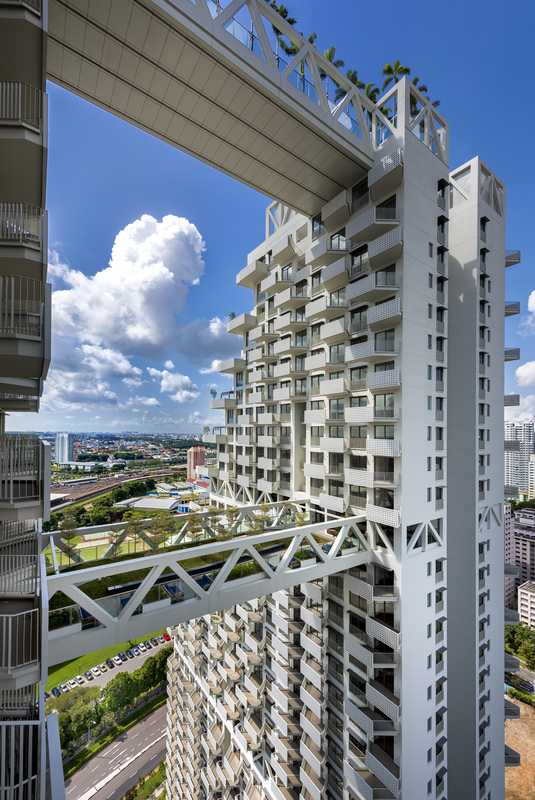 Sky Habitat, by name, builds on Safdie’s most recognized work, Habitat 67 in Montreal, Canada. Equally hierarchical and arguably more complex, Habitat 67 had its roots in his Master’s thesis at McGill University.